In addition to waiting in line two hours to take a picture with Internet sensation, Grumpy Cat, South by Southwest attendees also have the opportunity to learn about the live, work and play opportunities in the Raleigh-Wake County region. 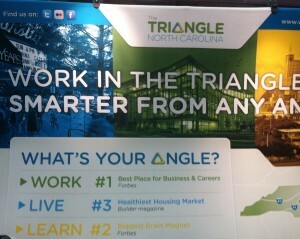 The Work in the Triangle initiative is a partnership “between our organization’s talent attraction effort and Raleigh Economic Development, which is focused on recruiting companies and marketing Raleigh as a great place to live and work,” says Jennifer Bosser, assistant executive director, Wake County Economic Development. Bosser notes the team is in Austin to brand Raleigh as a great place for talent by meeting with individuals and companies. 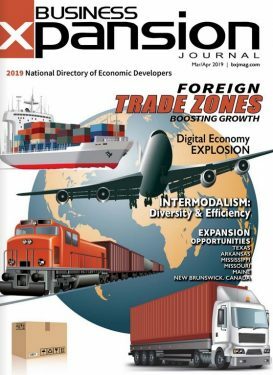 The team has hosted a number of events to highlight local companies involved in RaleighMakers, as well as others from the region. One event, #PopUpRaleigh, is a contest using Twitter, designed to encourage spontaneous meet and greets in various locations, promoting local brands and giving away free prizes. In addition, Raleigh’s grassroots team of ambassadors, known as Smarty Pants, have been sending out social media messages via Twitter and YouTube from back home to SXSW attendees to further promote giveaways and other activities. 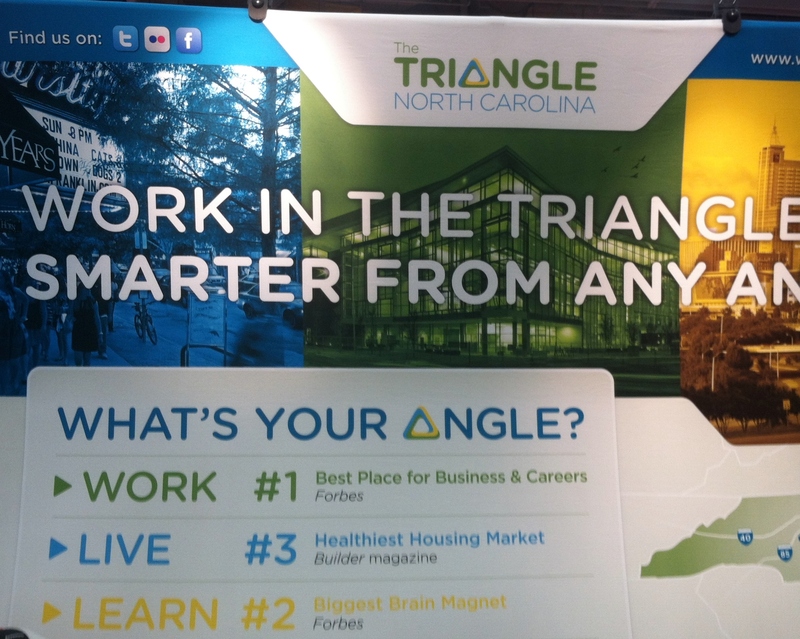 At the Interactive Trade Show Block Party, being held this evening, the Work in the Triangle partners are scheduled to serve complimentary craft beers and announce the grand prize winner of the #TriangleSolo contest. Attendees have been encouraged to perform their best triangle instrument solos to songs of their choice. Participants completing a one-minute video of their solo are entered to win a trip for two to Raleigh, including airfare, and VIP passes to the Hopscotch Music Festival.